Three teams: One mixed, one women, one BCS women! 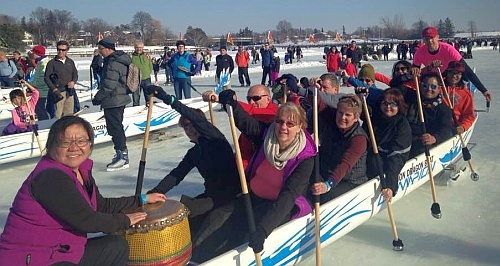 We participated in the first ever Ice Dragon Boat Festival in North America in 2017, and again in 2018. We are returning again for a third year with even more teams as we have had a lot of fun at this unique event. Last year there were 100 teams and it was sold out - and this year there are 100 teams again and it sold out again in 7 minutes. The event also takes place during Ottawa's Winterlude (Feb 1 to 18). Each team consists of 10 "paddlers", a steersperson, and a drummer. The boats are rigged with skis and we will use special ice stick "paddles". Practices will be held Friday so we can get used to the boats. Each team gets 3 races and competes in divisions like a regular festival. Click the red button below to register. We will register up to 12 members per team. 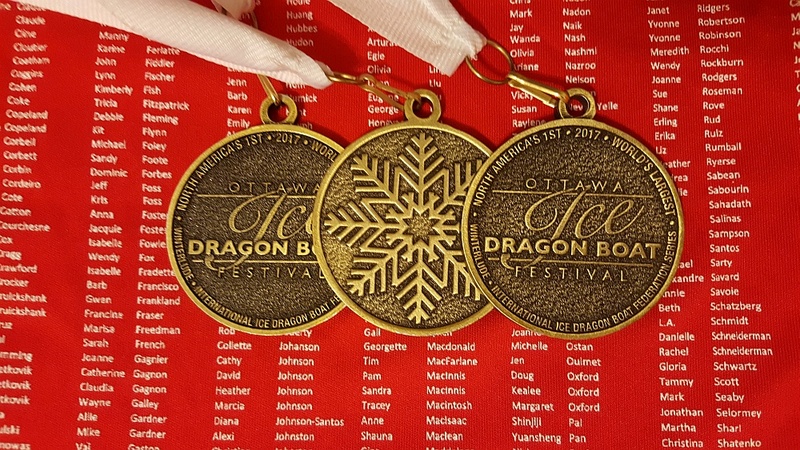 Cost: $95 CAD / $75 USD per person (team registration fee of $847.50 / 10 paddlers plus $10). Latest News (Nov. 21): Our three teams are almost full - with just 2 or 3 spots left on Rusty Belles (see roster entries below with a blank space after number). Registration is still open via the red "Register now" button below. BCS paddlers from ANY team anywhere are invited to join the Pink Ice collective team. For everyone already registered but not yet paid, please do so as soon as possible. 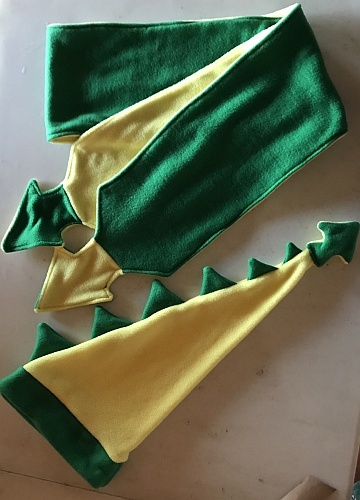 The equivalent $75 USD can also be paid to "Tim MacFarlane" by American participants and mailing it to Tim (contact Tim@RustyDragons.ca for address details). All Canadian Dollar cheques are to "Rusty Dragons Adventures". We will be cheering on our friends on both the LINKED IN PINKS (LIPS) and WONDER BROADS teams (both BCS). They will race with PINK ICE at the event. A MIXED team and two WOMEN's teams. NOTE: a "period" after a name means registration fee paid, and a "comma" means paid for hat/scarf.